I know this has been touched on before in the past just wondering if things have been implemented in Samplitude Producer. 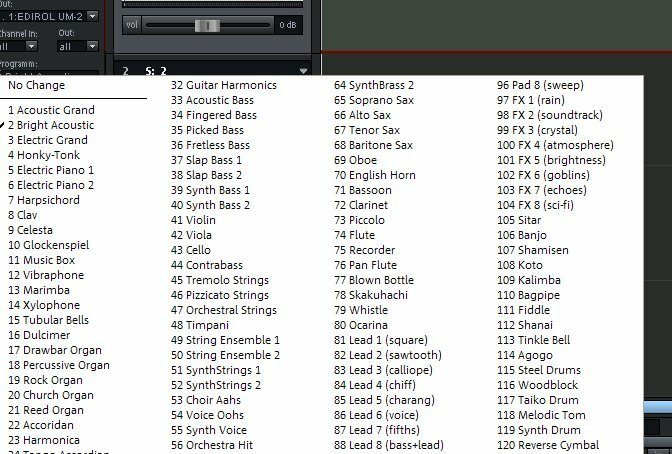 I need to change the names of the General Midi patch names which pop up when choosing a midi program change. Not needing to create a new patch list but just simply rename the entries. Wondering if the text/script file for that is accessible or is it embedded in the program files somewhere. I'm sorry to say there is still no accessible text/script file where you can edit these entries.Whether this will change in the future I don't know.